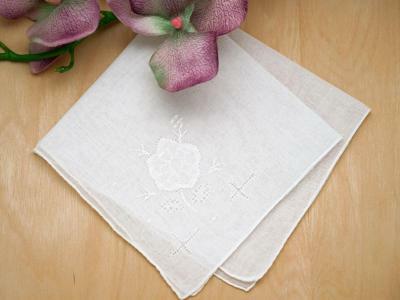 This lovely hankie is just lovely and will remind you of a fresh summer day. 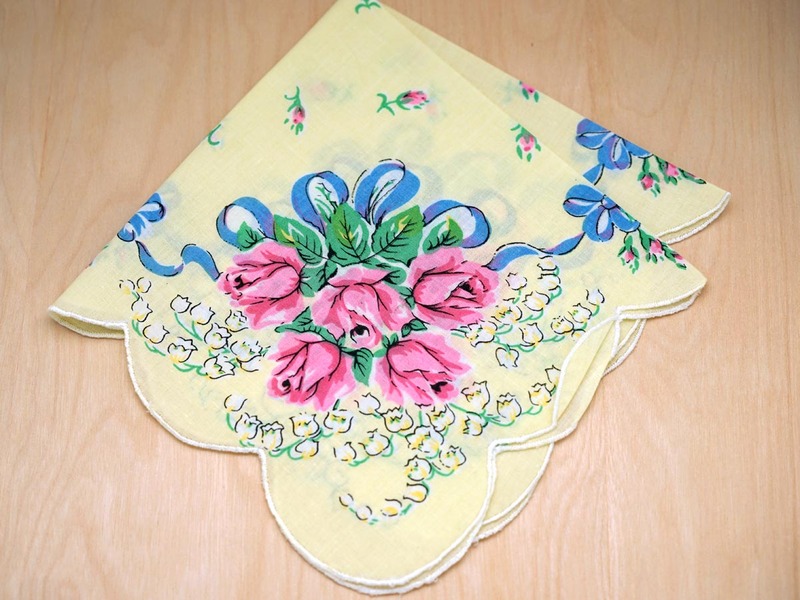 Cheery yellow in color, this handkerchief is then enhanced with pink roses in each corner. 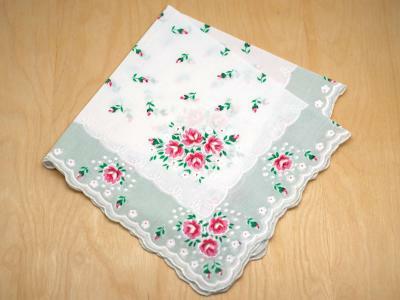 Vintage Inspired Summer Print Hankie with Roses Customers have rated this product	5 out of 5 based on 4 rating(s). 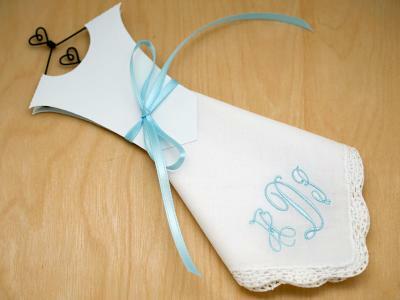 Love, Love it, especially since roses are my favorite flower. 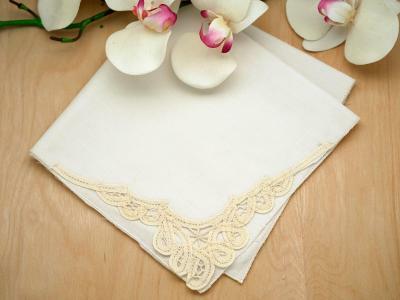 I had a hankie just like this one, that use to be my grandmother's. 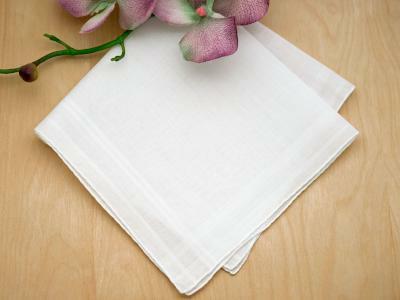 While using & carrying it one day in past 6 months, I dropped & lost it. 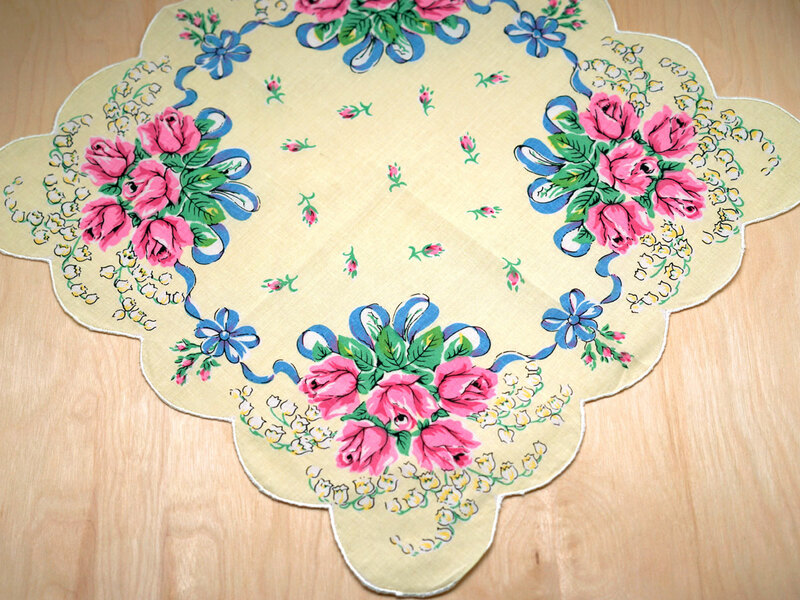 Finding this one, purchasing it, & it arriving just like grandma's looked, was so special to me! 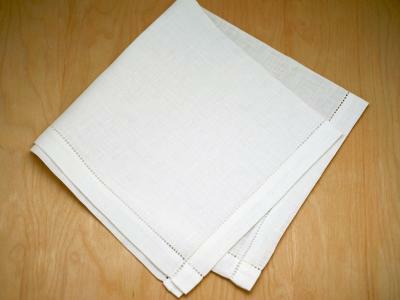 Thank you Bumblebee Linens!..